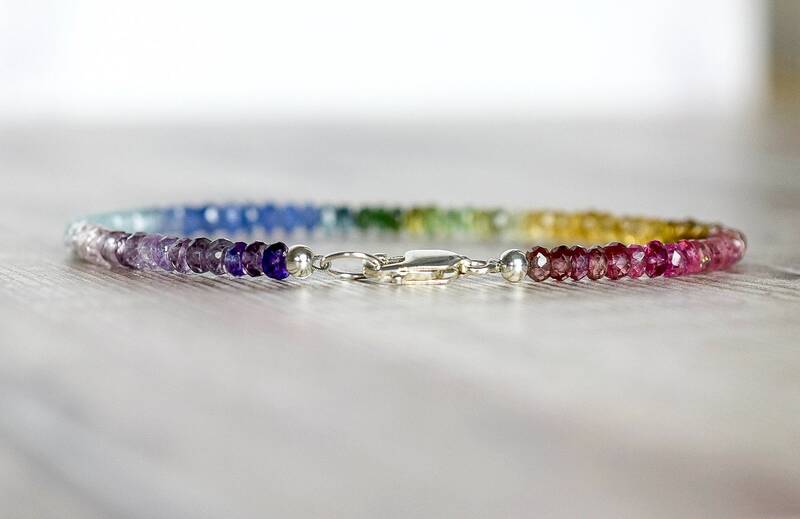 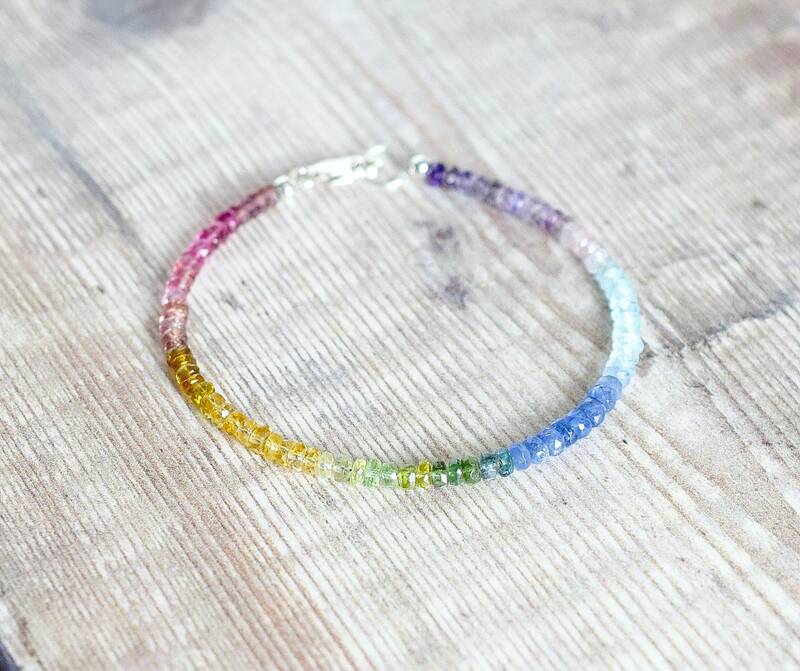 A beautiful multi gemstone beaded bracelet in Sterling silver. 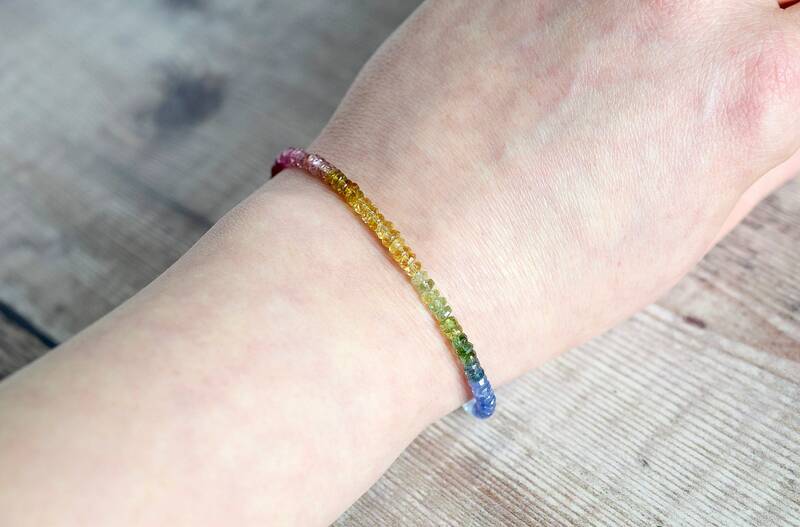 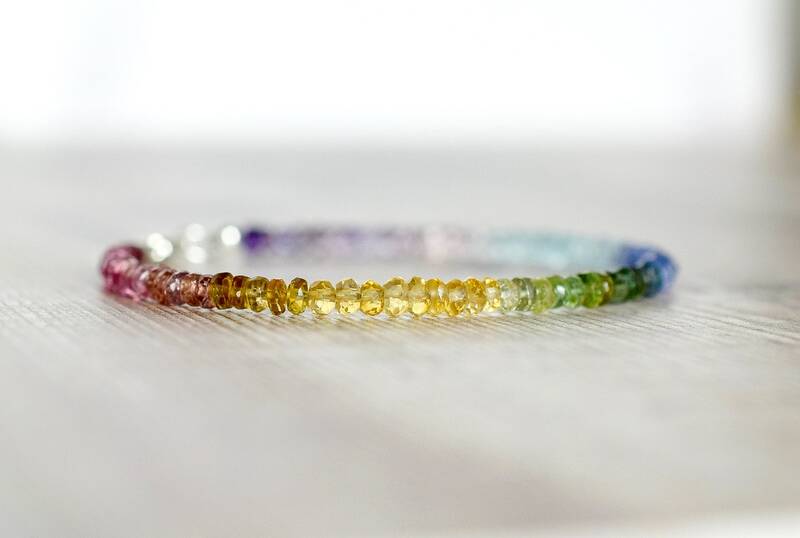 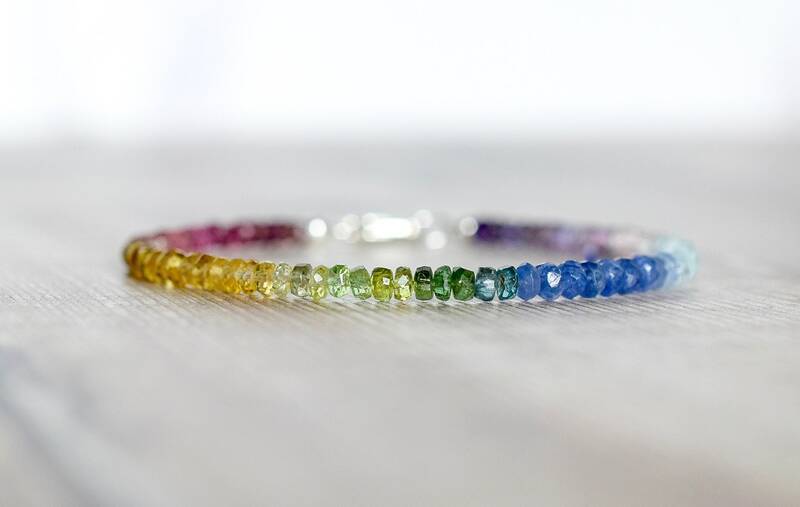 The bracelet is made with the highest quality, natural gemstone beads, that I have carefully selected so that they blend together in harmonious tones of the spectrum. 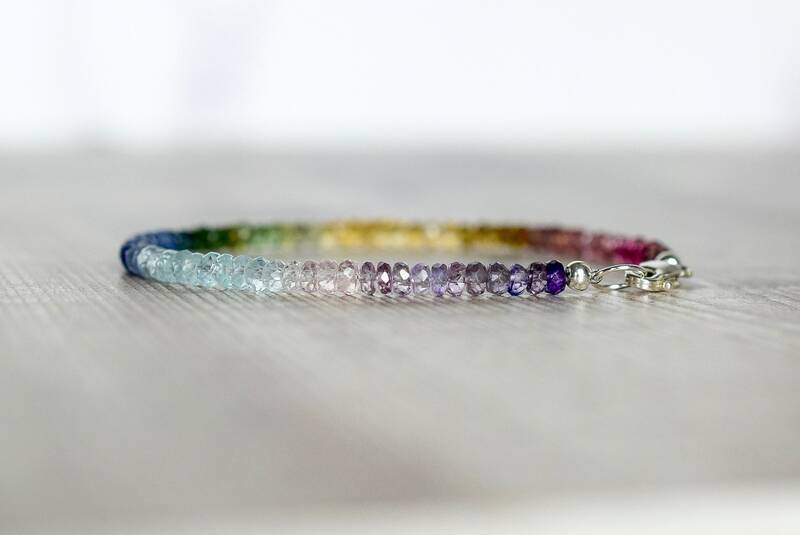 • The bracelet will arrive in a Saturnalia Jewellery gift box. 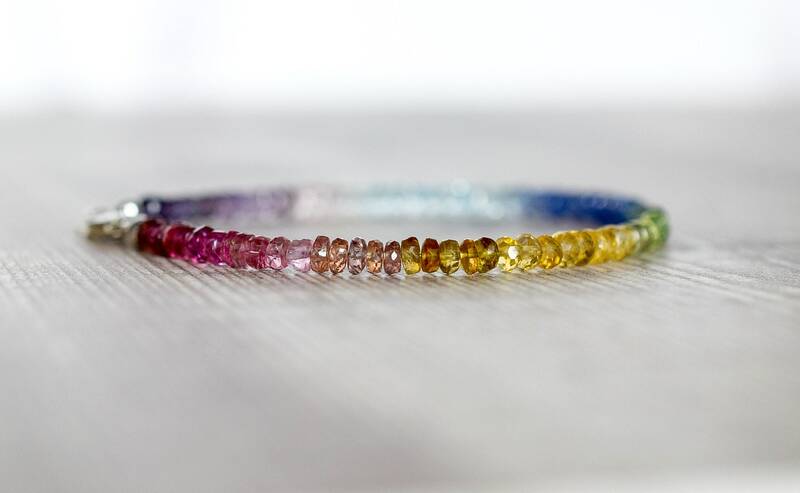 prosperity and abundance, as well as good luck and good fortune! 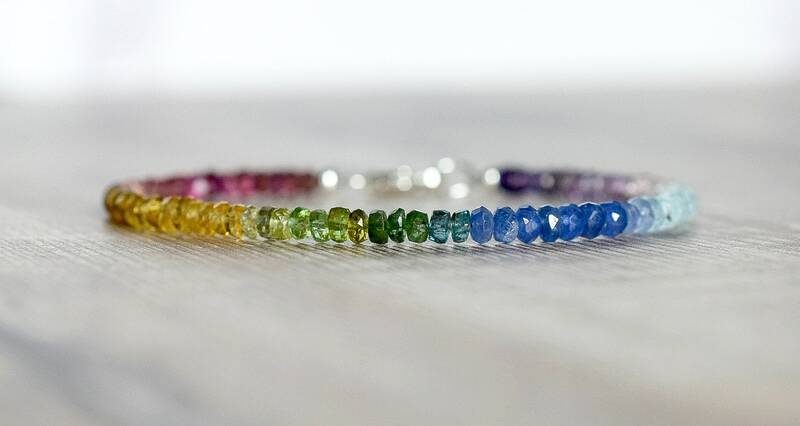 ✨ Blue Sapphires are said to eliminate depression and infuse you with light and happy moods!